Scriptor is a minimal and clean one column theme for writers. 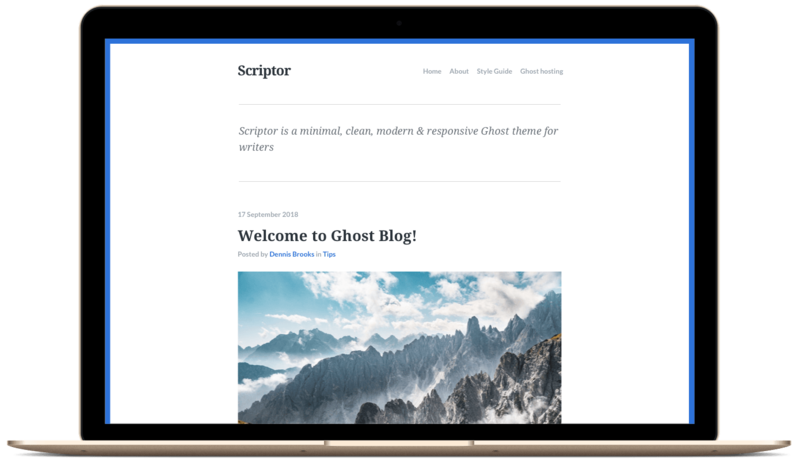 Scriptor is a distraction-free, minimal and clean Ghost theme. We’ve taken away all the common distractions and left only what’s important for your writing experience. We are dedicated to keep this theme up to date. Scriptor features a responsive design, that means your site will adapt smoothly to any screen size from desktops down to mobile phones. If you need help setting up your site we provide swift, one-on-one email support. We know our themes inside out, ask us anything.